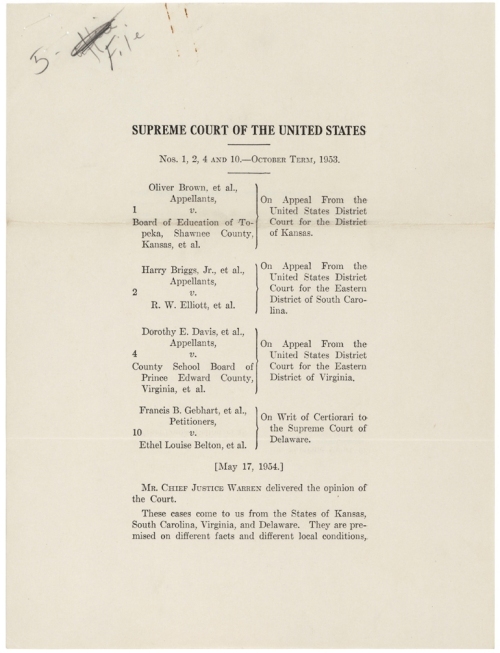 On May 17, 1954, U.S. Supreme Court Justice Earl Warren delivered the unanimous ruling in the landmark civil rights case Brown v. Board of Education of Topeka, Kansas. State-sanctioned segregation of public schools was a violation of the 14th amendment and was therefore unconstitutional. This historic decision marked the end of the "separate but equal" precedent set by the Supreme Court nearly 60 years earlier in Plessy v. Ferguson and served as a catalyst for the expanding civil rights movement during the decade of the 1950s. Arguments were to be heard during the next term to determine just how the ruling would be imposed. 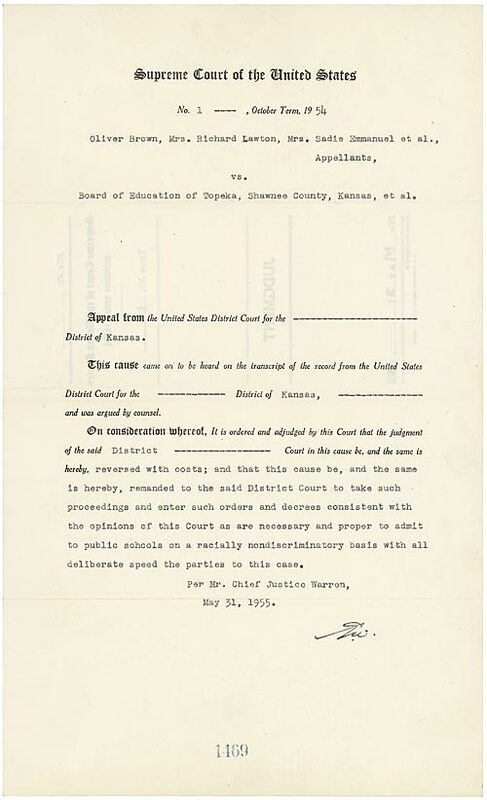 Just over one year later, on May 31, 1955, Warren read the Court's unanimous decision, now referred to as Brown II, instructing the states to begin desegregation plans "with all deliberate speed." Despite two unanimous decisions and careful, if vague, wording, there was considerable resistance to the Supreme Court's ruling in Brown v. Board of Education. In addition to the obvious disapproving segregationists were some constitutional scholars who felt that the decision went against legal tradition by relying heavily on data supplied by social scientists rather than precedent or established law. Supporters of judicial restraint believed the Court had overstepped its constitutional powers by essentially writing new law.